The volleyball team prepares for their home game. The girls won their game against Merrimack and improved to 3-0. “If we play as we know how to; I think we can win [the championship] again,” said Atkinson. Local newspapers and schools have their eyes out as the HB volleyball team is the one to beat. Starting off their season with a 9-0 record, the girls hope to continue their immaculate streak of wins. “It’s amazing to see all of the teamwork and effort come together, with practice six days a week, to make it worth wild. Each year it seems like it’s gotten better and we’ve built up as a team more and more,” said Elizabeth Atkinson ‘19, four year Varsity starter and two time all state player. Through all of their wins, the girls have an unbreakable bond. 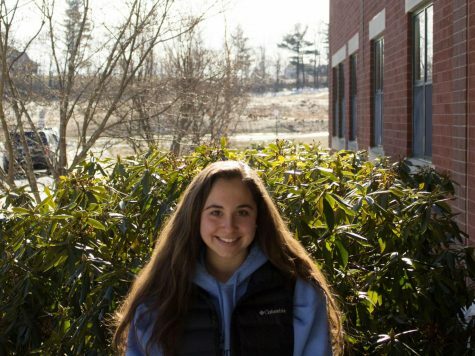 Being a tight group is a very important part of any team experience, and Elizabeth Bonnette ‘20 emphasizes that: “No drama or secrecy between people and embracing everyone,” she said, keeps their team at a high level. Maintaining this experience does not always rely on just the coaches. Team bonding and leadership play a large role in the atmosphere as well. “I think leadership within a team is key, but it doesn’t have to be one individual everyone can step up,” said Bonnette. A major accomplishment that has rocked the NH volleyball world is Hollis Brookline’s 300 Varsity wins. Coach Rebecca Balfour was able to celebrate coaching her 300th HB win along with the team on September 14, in Keene, NH. HB eagerly won the game 3-0 and Balfour was able to share this experience with one talented team. “I just think really just being a part of something bigger than yourself and the community that we bring within our teams is very rewarding,” said Balfour. Reaching this point does not happen very often. Balfour has been coaching HB since 1999 when the team was only at a JV level. Then in 2000, when the team became a varsity squad, the wins started racking up. Eighteen years later, the team collectively accomplished their 300th win. Balfour is fourth in line for most varsity wins in NH, making this quite the accomplishment. 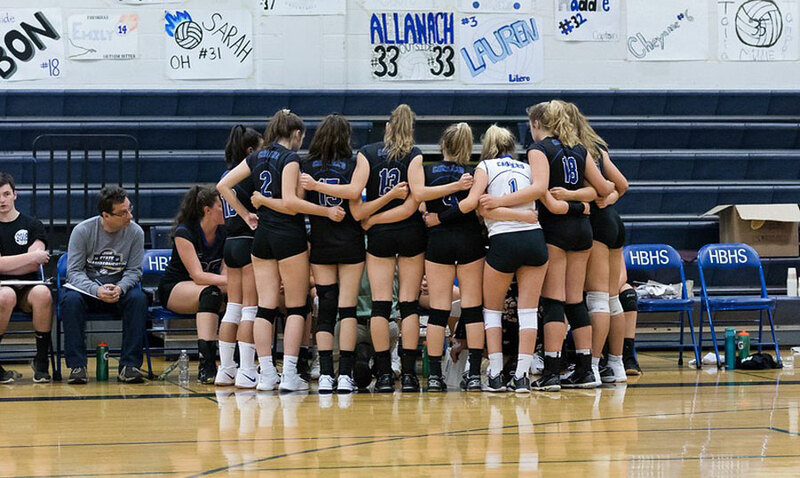 As fans hope that the HBHS girls volleyball team continues to win, they are putting in an immense amount of hard work and time into their sport. Their next home game is on October 5 at 6:30 pm vs Winnacunnet.